I love this time of year for lots of reasons and one of those reasons is that darker evenings means we 'play' inside a lot more. Little J has already started choosing to play games inside rather than playing in the garden. So we have been swopping football and trampolining for lots of indoor play. The past few weeks we have been playing with the Oonies Inflator Starter Kit and The Orbeez Wow World Wowzer Surprise Magical Pets. Little J loves playing with Dinosaurs and why not? They are big, scary and cool and playing dinosaurs gives you the chance to roar loudly, stomp your feet and pretend you are the most powerful creature to ever roam the Earth. When we were sent the Schleich Dino Set With Cave I knew little J would love it. He already has dinosaur figures so adding more to his collection and also a play set would definitely enhance his play. Have you ever wanted to open a letter or parcel but you know that you shouldn't because the circumstances could be catastrophic. Well last week a parcel arrived and we were desperate to take a peek inside but the box was clearly marked with a warning. Did we package the parcel back up and return to sender? Nope, however looking back now that could have been the better option. Inside our package was a Fuggler, I don't think I have seen anything as ugly in my life and those teeth... they are insane. It is quite clear that our Fuggler was sent to us to turn our normal happy home into chaos. One of our favourite things to play with are figures. We have so many and they all stay together in one big box so when it comes to play time they can all get involved. Little J uses his imagination to create a world where all the figures live. Some are goodies and some are baddies and the world usually involves them fighting each other. We were recently sent a new figure to add to our collection. Lava Golem is an Eldrador Creature from Schleich. We absolutely love Schleich and our collection is growing nicely thanks to our latest addition, the Schleich wild life 4x4 vehicle with winch. I knew this was going to fit well with little J's animal collection as the vehicle is a rangers 4x4 and it comes with a ranger, called David. We had a very interesting delivery last week for little J, a crate which was all locked up and inside was a very unexpected surprise. Firstly we had to unlock the crate using the crowbar supplied and the once the lock was open we popped open the lid and up popped Sizzle. You may have read a few months ago that we headed to the cinema to see Disney Pixar Cars 3. It was our first ever visit to the cinema with Little J but he loves Cars so much we knew it would be the perfect first time experience for him. As such a huge fan of Cars and Lightning McQueen I knew little J would be thrilled when he opened the 1:16 RC Ultimate Lightning McQueen. Summer will soon be here and if you have been lucky enough to experience the warm weather recently then you will know a little bit of sun puts everyone in a good mood. We definitely feel much better when we can be out and about having lots of fun in the garden. We've had lots of play days in the garden, paddling in the pool and playing with little J's new garden toys he got for his birthday. This has been the first time ever I have enjoyed playing in the garden and it's all because we had astro turf fitted last year. Its amazing and I would definitely recommend it. As you may already know we are a Board Game Club blogger and each month we receive a game to play. We received something a little different this month, Rory's Story Cubes. I have never heard of them before so we were all eager to try them out. The idea behind the story cubes is you create a story using all nine icons shown on the cubes that you roll out in front of you. One of my favourite toys when I was younger was my Post Office play set. I would play with it for hours and I remember picking up leaflets and paying in slips when we visited the post office so I could add them to my play set. When Chad Valley sent us their Post Office Play Set it brought back so many memories. I knew little J would love it as he loves anything like this especially as it has lots of accessories. As you may already know we are part of the Chad Valley Play Panel and this month we have been sent the Chad Valley Air Pump Loader to try out. We have said it before but we are huge fans of Chad Valley and have been since we were children so for us to be able to showcase their toys on our blog is a huge honour for us. Even before we were on the panel are home was full of Chad Valley toys and I know it will continue to be like that until little J is too old for them. I have to admit that I haven't bought any Christmas gifts yet this year which is not like me as I usually begin as early as September. However I have started to make a note of some gift ideas that I have seen on other blogs and I have been sent some fabulous gift ideas to share with you. I have popped them below and I hope you enjoy having a browse. We have a new addition to our every growing games collection this month and it's Shark Bite by Drumond Park. I've mentioned it before but even though he is only 4, little J absolutely loves playing games and playing them regularly as a family as really helped with learning to share and take turns. Little J loves 'fun' games and Shark Bite really is just that. It's a game where you have to go fishing in a shark's mouth before he snaps it shut. I have said before just how much we enjoy playing board games. We love playing games suitable for kids, family and adults. We love finding new games to play so when we were asked to join the Blogger Board Game Club a few months ago we had to say yes. It’s the perfect opportunity to try our new games and add to our ever growing collection. When this month’s game arrived we were excited to see it was an ‘adult’ type game. Pandemic puts you on a disease fighting team with the hopes that you will not only keep four deadly diseases at bay but also discover their cure. You will all know how much we love Disney so when we were asked to review Disney Guess The Film game we jumped at the chance. It actually combines two of our favourite things Disney and games. Little J is at the age now when he can happily sit and play a game. He is able to take turns and the days of throwing tantrums if he didn't win are way behind us. He was actually really excited when he saw the box as it has 'Cars' on it and he is such a huge fan of Disney Cars movies. Hot Wheels has been popular with us since Big J was small. We have amassed a decent sized collection of Hot Wheels cars, and Little J loves each and every one of them . We were asked to review the Hot Wheels Roto Revolution Track Set, and Little J was so excited to try it out. As a family we love trying out new gadgets so we were eager to receive Mi Mic Microphone. We had seen it on TV and it looked great and lots of fun. The Mi Mic Microphone is a karaoke microphone and speaker in one. You may remember back in the Summer I teamed up with the lovely people at Alpha Animation and became a Super Wings Ambassador. If you missed it then just to let you know Super Wings is a hugely popular, action-packed, animation series that can be watched twice daily on Cartoonito. Little J absolutely loves watching Super Wings and we have just started to watch series 2. 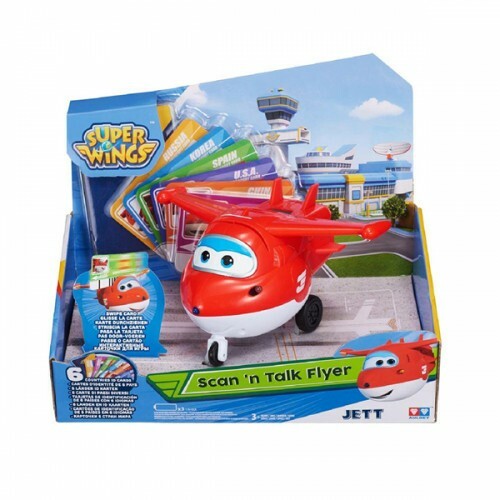 I have teamed up with Alpha Animation again for a fabulous giveaway to win a Scan 'n Talk Flyer Jett. I'm not sure who was more excited about receiving the Oregon Smart Globe Adventure a few weeks ago, little J or John and I. I absolutely love anything to do with maps, countries, capitals but have never actually owned a globe so this was very exciting. The Smart Globe Adventure is an interactive globe giving you the chance to explore and learn about 220 countries, interesting facts, play games and even unlock a 3D Augmented Reality feature using an app on your smartphone. We have mentioned on our blog before that we are huge fans of the Teletubbies and you may have read recently that we reviewed some Tiddlytubbies which are a new addition to the Teletubbies Dome and they are so cute. As parents we have been fans since big J was little, over 15 years ago. 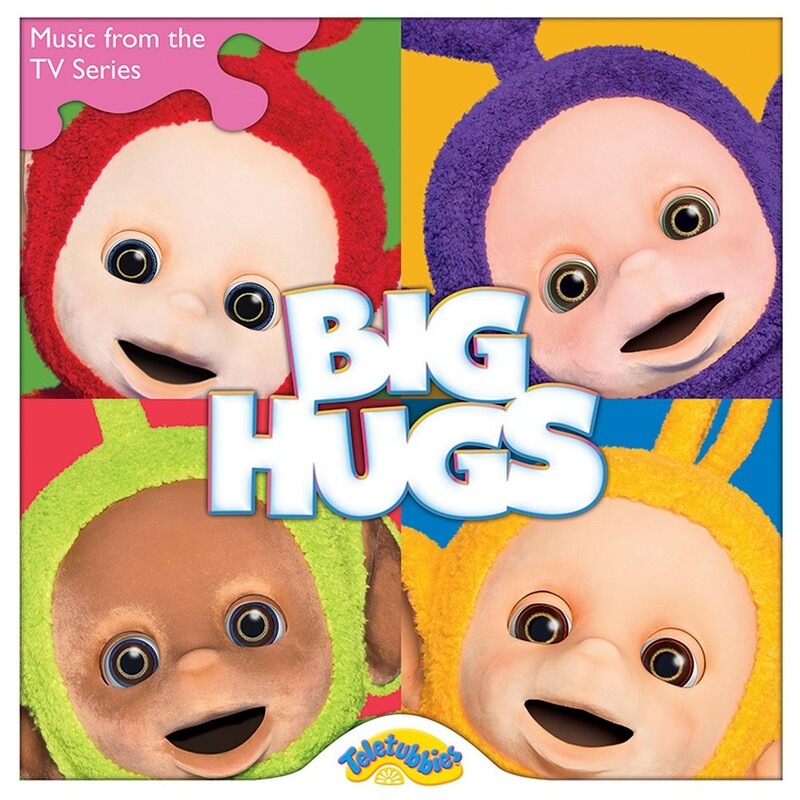 I absolutely love that they are still going strong and they have just released a new CD called Teletubbies - Big Hugs. Michelle Murray. Powered by Blogger. © Playdays and Runways. All rights reserved.